Rainbow Cringe | Inside the mind of lulupants! I’m not very superstitious but occasionally I think of things like what I’m about to say and it make me think otherwise. Rainbows bring me bad luck. Yes its hard to believe but every time I’ve seen a rainbow a series of things happen to me that might just be a coincidence or pure bad luck. Haven’t made up my mind yet. So yesterday was a rainbow day, as I was driving to work my daughter pointed out that there was a rainbow to our left. I tried not to look but I love the colors of rainbow and I couldn’t resist so I looked, then all these things happened to me. My face powder fell all over my pants, I got to work late because of an accident, my phone went crazy and all my 1740 pics got erased and finally I fell in the tub. I tried to keep positive but the more things happened to me the more my suspicions were confirmed. 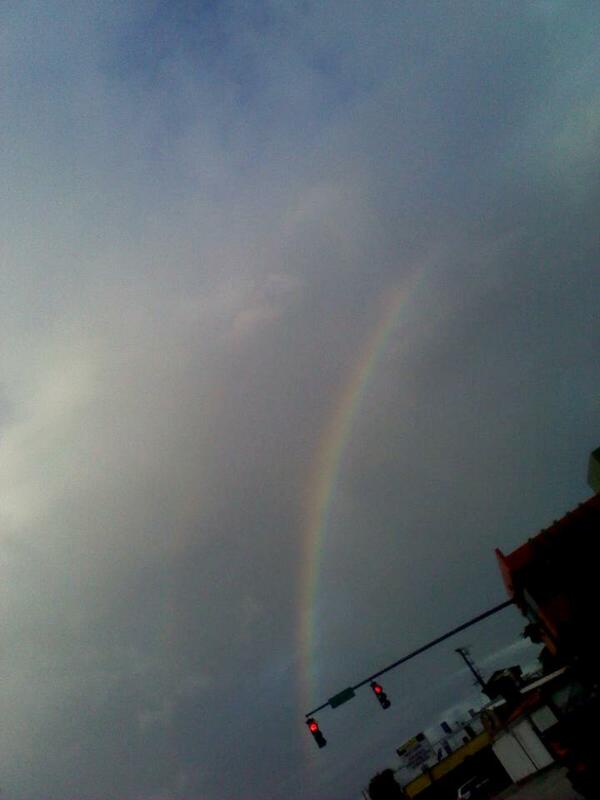 Rainbows bring me bad luck, I love the way rainbows look but I cringe in the sight of a rainbow. Do you think its true or is it just me being superstitious? Rainbows are a promise from God so I’m thinking it’s just a coincidence. Very strange though!